Is your business or organization required by law or other legal mandate to conform to Web Accessibility guidelines and do you know which ones specifically? Are there other Web accessibility policies your organization should comply with? Are the requirements adequate to meet the needs of people with disabilities and older users? If the required guidelines might not adequately meet the needs of the website’s users with some disabilities, the organization can include in its business case additional guidelines it chooses to meet. See Considerations Beyond Requirements. Are there specified guidelines, conformance levels, and dates for compliance? For example, does the policy state that a certain level of compliance is required by one date, and a higher level of compliance is required by a later date? See Considerations for the Future. Might the org be subject to policies in the future? For example, requirements might be in development now that will be enforced in the future; or, an organization might expand into countries or other markets where Web accessibility policies already apply. See Considerations for the Future. Does your organization understand the risks of failing to provide accessible websites? 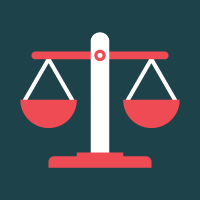 In some cases it is useful to include in a business case the negative impact on reputation and potential legal costs associated with defending against legal action for not complying with Web accessibility requirements. See Understanding Risks for Non-Compliance. What Happens if Your Organization is Non-Compliant? Recently, there have been legal action taken against some businesses for failing to make their websites accessible. This can result in significant legal costs and potentially impact the organization’s reputation. The challenge here is that the legal requirements for your organization being compliant might not be clear. With the recent lawsuits, many businesses are now considering website accessibility as a critical factor in redesigning their websites. *Information above is a summary from the W3.org website on accessibility and legal requirements. Please reference their website for more information.